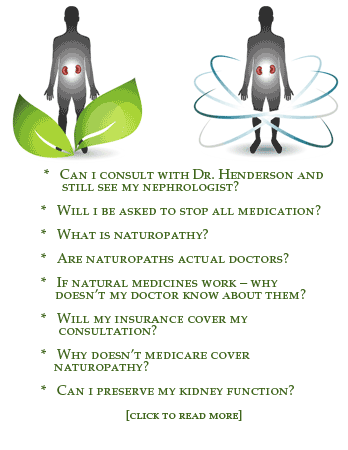 On all occasions when I have needed expertise in natural medicine for kidney disease, I have called upon Dr. Jenna Henderson. She has provided me valuable insight in caring for patients–guiding me with the most up-to-date research and sharing her comprehensive knowledge base and experience in this area. As a result of consulting with Dr. Henderson, my care for renal patients has been far more informed and clinical outcomes in my practice have been very favorable.